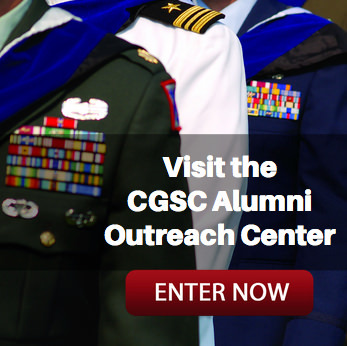 CGSOC instructor earns TASS Military Instructor of the Year honor for 2018 | Command and General Staff College Foundation, Inc.
Lt. Col. Adam Pannone, a U.S. Army Command and Staff School instructor assigned to the 10th-80th Officer Education System Battalion, 97th Brigade, 100th Training Division (Operational Support), was selected as the The Army School System (TASS) Instructor of the Year in the officer category on Dec. 1, 2018. Lt. Col. Adam Pannone, right, earned the TASS Military Instructor of the Year for 2018. 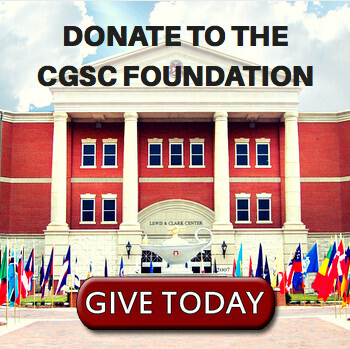 Pannone is a CGSOC instructor at the Fort Belvoir CGSC satellite campus. With Pannone is Lt. Col. April Moncrief, the Virginia Coordinator for the 10-80th Officer Education System Battalion. 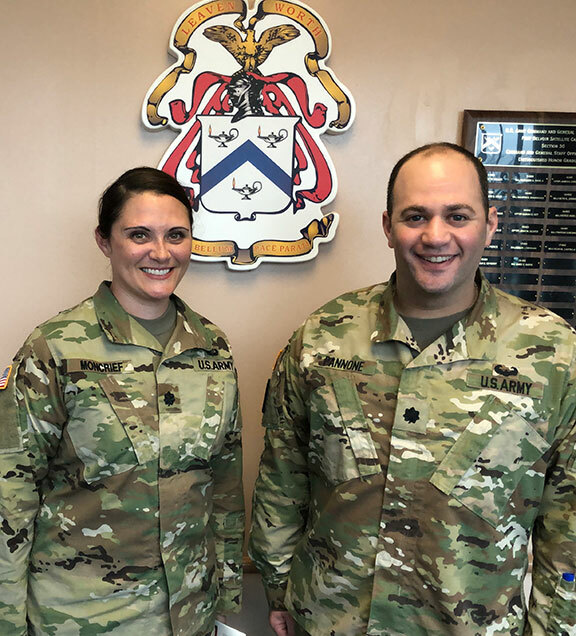 Currently in his second year of teaching with the 10th-80th Officer Education System Battalion, Lt. Col. Pannone was selected as the officer Instructor of the Year for the 80th Training Command after competing in multiple levels of competition. The final level was a live competition conducted at Fort Knox, Ky., Oct. 19-20. Twenty-one Army Reserve instructors from across the command’s three training divisions and the 4960th Multifunctional Training Brigade contended for the top prize in three categories: enlisted, officer, and civilian. Pannone is an Army Reserve Officer whose full-time civilian job also involves education and teaching. 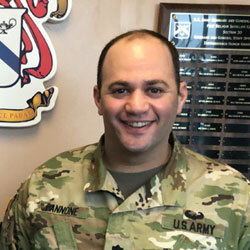 As a corporate educator with PricewaterhouseCooper, a multinational professional services network, Pannone finds that many of the education principles that he uses in the corporate world are also useful in the education of Army organizational level leaders. These Army leaders are officers in the rank of major, whose follow-on assignments after graduation from the Command and General Staff Officers Course have higher complexity and are at the indirect level of leadership. Pannone attributes his success to incorporating technology in the classroom, paired with the Command and General Staff School curriculum. One example of this successful combination occurred when students were able to text their comments on the timeless “H100, History” course readings such as On War, by Clausewitz, and Makers of Modern Strategy from Machiavelli to the Nuclear Age, edited by Peter Paret, to the classroom screen. These student comments sparked discussion that led to a deeper understanding of the material. In recognition of his exceptional accomplishment, Lt. Col. Pannone received a U.S. Army Command and General Staff School Belvoir Satellite Campus Coin from the Teaching Team 30 Supervisory Professor, Mr. Michael Bizer. The top instructor in the officer, non-commissioned officer and civilian categories will move to the annual U.S. Training and Doctrine Command competition.